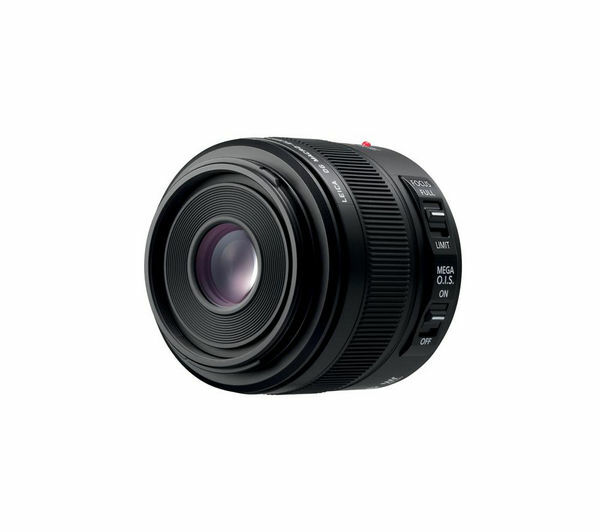 This fantastic Panasonic H-ES045E 45 mm f/2.8 Macro Lens combines an aspherical lens and an ED lens to deliver superb optical performance. You'll be able to achieve incredible portraits and closer shots with great depth of field. The lens elements are also multi-coated to give reduced ghosting and flare for truly clear, crisp photographs. Using Mega OIS, which is Panasonic's advanced hand-shake correction technology, you can be assured of refreshingly blur and shake-free shots, so you get more memorable frames with the H-ES045E Lens. There is also an inner focus direct-drive linear motor that assists focusing so that you can achieve excellent resolution and contrast in all your shots. The f/2.8 Micro Four Thirds Lens also features contrast AF system support so that automatically focused shots are of optimum dynamic quality. The 7 blade circular aperture diaphragm reacts quickly to your every shutter depression for top visual results, and the durable metal mounting ensures long camera life and consistent performance. 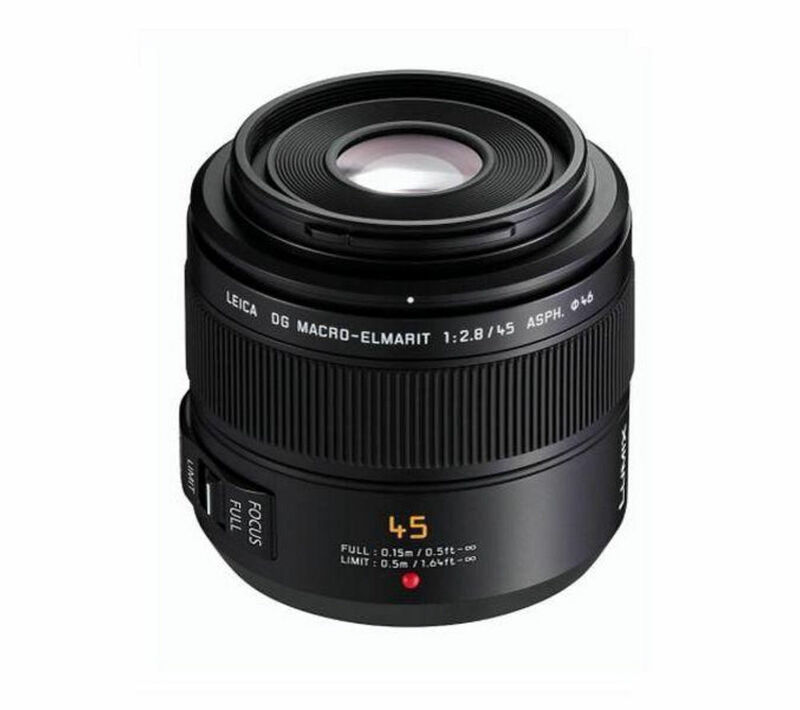 Enhance your photographic arsenal with the beautiful performance of the Panasonic H-ES045E 45 mm f/2.8 Macro Lens.